– Design and project management for residential and commercial projects throughout Florida. This included site plan layout, drainage plans, sewer and water plans, landscape plans, and the permitting of the projects through the appropriate agencies. – Site layout and design of a highly complex training range for the United States Marine Corp at Camp Pendleton. The work, under HSW Engineering, Inc.; involved moving a small mountain (2.5 million CY of earth), retaining walls, target emplacements, drainage to include terraces, and roadway design. – Site layout and design for the Fort Carson building expansion. The work, under HSW Engineering, Inc.; consisted of complex grading, pavement design to accommodate military traffic, interior instrumentation and control. – Municipal utility design for the City of Winter Haven. The work, under ECON South, LLC; involved the design, relocation, and permitting of a highly complex master lift station with the capacity to handle of 12.5 million gallons of raw sewage. – Municipal utility design for Wahneta Water Works. The work, under ECON South, LLC; involved improvements to the water plant and water mains by removing the outdated asbestos piping and replacing it with modern PVC piping. – Client relations, project budgeting, material cost estimates, and proposals, for municipal, commercial, residential, land planning, earthwork, and land acquisitions. 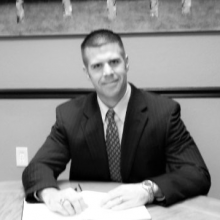 Mr. Kovacs is a graduate of University of South Florida, where he received his BSCE in 2012. He is a registered Professional Engineer in the state of Florida. (License #84168).